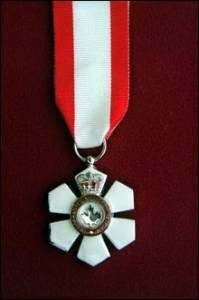 Her Excellency the Right Honourable Adrienne Clarkson, Governor General of Canada, announced on August 5 the appointment of CCGA Chief Executive Officer Harry Strong to the Order of Canada. Harry Strong´s voluntarism is marked by a selfless dedication to saving lives. For more than 20 years, this businessman has demonstrated an extraordinary commitment to the local, national and international search and rescue communities. Having served in various leadership positions with the Canadian Coast Guard Auxiliary (CCGA), he is currently its Chief Executive Officer. In this role, he is responsible for planning, training and establishing programs for boating safety and has been instrumental in earning for the CCGA an outstanding reputation as one of the best life-saving operations in Canada.